This recipe is published in this month’s issue of Muscle & Fitness Magazine, out in newsstands all across the UK, Germany, Spain, France, the Netherlands, Canada and Australia. If you’d like to access it but you don’t live in any of these countries, you can find the article here, alongside other articles I’ve written for a number of different publications worldwide. Just click on the pics to save and/or print out the articles. Final note about this particular recipe: you can use any flavor of whey protein powder you want to make it. You can also use casein protein powder. HOWEVER, bear in mind that if you do, your flan will end up a lot more like a pudding, like this, i.e. it’ll be thick as opposed to this which is more of a jelly-type flan. 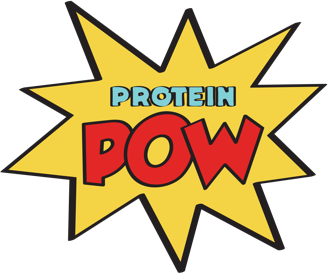 PS: To get more of my protein flans and protein panna cotta recipes, remember to turn to pages 254-259 of the Protein Pow Cookbook!